The merengue dance style we know today is said to have originated because of a leg problem. One version says it originated because the slaves were chained together and this caused the one leg to drag. The other version says that a hero badly wounded his leg in a revolution. When he was welcomed home in a grand celebration no one wanted to make him feel bad so they all danced as if their leg was hurt also thus the foot drag was originally started. Merengue can be danced slow or fast as there is no real set tempo for the music to be played. There is fast merengue which is a vigorous workout and has less hip action. Down to the slower and more sensual, close dancing and hip gyrating merengue. Plus all the varieties in between, It is a fun dance, easy to learn and can be danced in tight quarters. 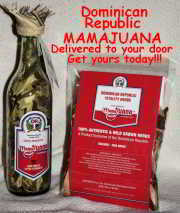 This is why the merenegue has become so popular in recent years in the Latin countries and all over the world. Latin dance clubs are springing up in many non-Latin areas just because of this hot little dance and the contagious music it accompanies. Juan Luis Guerra won four Grammy's at the 2007 Latin Music Awards held in Las Vegas, USA. He received Song and Album of the Year, Best Tropical Song of the Year and Merengue Album of the Year. The Latin Academy of Recording Artists honored Guerra as Person of the Year. Here are some other well known Dominican Merengue artists. Juan Luis Guerra "Bachata Rosa" This song is a classic, loved by all. This video had English subtitles to make it easily understand. Guavaberry The web site of Juan Luis Guerra. The lyrics for the new album are there also. Our own Juan Luis Guerra received both the Silver Torch and the Golden Torch awards after his performance at the opening ceremony of the 2006 Vina del Mar International Song Festival held in Chile. All his songs received standing ovations from the more than 17,000 in attendance. Chichí Peralta ,born July 9 of 1966 in Santo Domingo, Dominican Republic as Pedro René Peralta (his given name) started playing at the age of 4. This is when he built his first drum called a tambora. His father nurtured ChiChí's (as he was called) musical tallents. He became famous when he became the percussionist in the group 4-40 led by Juan Luis Guerra. When he became a solo artist he did what he loved. He combines many different rhythm styles such as jazz, guaguancó, merengue, bachata and vallenato. Utilizing these combinations of all the music styles he loves he has come to make a sound that is all his own. Fernando Villalona , who was born Ramon Fernando Villalona Evora , on May 7, 1955. Fernando started singing when he was very young. In 1971 he entered and won on the amateur talent TV show, El Festival de la Voz. 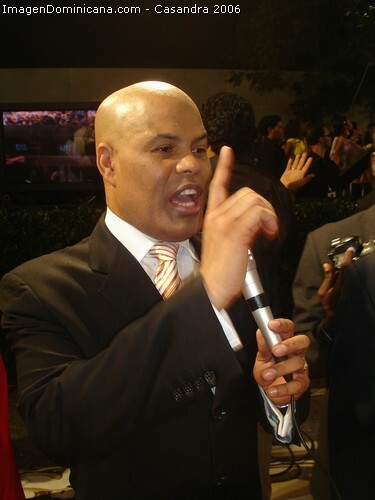 After the show Wilfrido Vargas got him to to join his group "Los Hijos del Rey" but when Villalona's popularity got to large he left the group to go on his own. He had a period of his life when he went into isolation and had problems with drug abuse yet has never stopped singing and recording music. He has never gained popularity outside of Dominican Republic, Puerto Rico and Venezuela. For the Dominicans Fernando Villalona, also known as Mayimbe, is a much loved artists. More information check this site. Ruby Pérez (real name:Roberto Antonio Pérez Herrera). Born in 1956 and raised in Azua de Compostela by his Pentecostal Preacher parents. He wanted to play baseball but he had an auto accident and ruined that dream. He sang in the choir at the church. Ruby went to the Conservatorio Nacional de Música where he graduated with honors. When he was 21 he joined the band Los Pitágoras del Ritmo from Haina. In l978 he was part of the orquesta Los Juveniles de Baní. This got him noticed by Fernando Villalona and he joined Los Hijos del Rey/The Children of the King. After the group Hijos del Rey separated from Villalona they toured all the Dominican Republic, Central and South America and also went into USA and Europe with their music. Upon returning to Dominican Republic after their tour Wilfrido Vargas, in 1982, invited Ruby to sing in his band as main vocalist. How with his catch phrase “me voy” he has won numerous awards and is known th world over for his music. The way he presents himself, his Christian background and his sensibilities have made him into the musician and person he has become today. Read the complete story and hear some of his music check out the Ruby Perez web site. Eddy Herrera Born in Santiago April 30, 1964. He learned to sing at a young age when at this time he sang Mexican Ballads and Ranchero music. When he was 9 his dad gave him a guitar and got him lessons. He played the music he was told to play in his school, but he was drawn to baseball. He was studying Architecture but had to leave school. Eddy had to make a decision to play baseball in Dominican Republic AA (Amateur) league or to accept the position of a singer in the orchestra of Wilfrido Vargas. He chose music and stayed with Vargas for 6 years. In 1989 he decided to go solo, got his own orchestra and within 5 months he had an independent recording. He combined many different styles of music including Merengue, Bachata, Cumbia among others. When his 3rd record came out it was taken and given worldwide distribution and reached gold. Eddy is a very stable person. He doesn't smoke and only drinks on occasion. He still plays sports and is an all around nice person. With his strong voice and great music he has become known the world over making South America, United States, Holland and France among the many countries where he has played. Eddy is also a film star. He has appeared in theater performances of West Side Story, Víctimas del Poder/Victims of the Power (Dominican made movie) and others. He has won numerous awards. We look forward to hearing what Eddy Herera has in store for us next. To learn more check out his official web site. 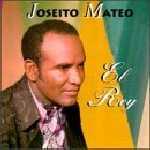 Joseito Mateo - El Rey del Merengue/The King of Merengue. He was born José Tamares Mateo on April 6, 1920 in San Isidro, a part of Santo Domingo in República Dominicana. In the 1950s, after coming out with his hit song El Negrito del Batey his place in the music world was established. He became the lead singer of the big band La Sonora Matancera from Cuba and Puerto Rico's el Gran Combo. The work of Joseito Tamarez Mateo has filled so vast and deep spaces in the Dominican culture that it is impossible to speak of Dominican Republic and not mention his name. The composer, singer and showman, "is still going strong," said his manager Jessie Ramirez. It is said he still performs with the enthusiasm of a young man. He is preparing a European tour for September 2006, and a documentary of his life. Joseito Mateo says that he will play merengue till he drops. He and his music are so deeply embedded in the culture that it is almost impossible when speaking of Dominican Republic and its music not to mention the name of Joseito Mateo. *The Senate and Congress of the Dominican Republic unanimously voted to name Joseito Mateo "the King of Merengue." *Mateo was the first Dominican to perform at Madison Square Garden, Carnegie Hall, and Radio City. *He is as well-loved in New York, where Mayor Bloomberg declared February 27 Joseito Mateo Day. This because he is a great ambassador of Dominican Republic to the world. *Josieto performed February 2006 at the Carnaval Tipico Dominicano, a music and cultural event in New York. *June 2006 the merengue icon, Joseito Mateo, was presented with a star in the Bronx Walk of Fame. *He received the Bobby Capo prize for his excellent artistic track record for the past 65 years, and still going strong. Mateo is the first Dominican merengue musician to receive this high honor from a governor in the city of New York. With him to accept this honor was his wife Norka and his manager. This video is from Juan Luis Guerras newest album set to be released in March 2007. Called "La Llave de Mi Corazón" including a mix of all types of music including mambo, tropical fusion, merengue, salsa, bachata and ballads. It even has an English version of the title song called "Medicine for My Soul". This video premiered on Dominican Television Feburary 1st, 2007 with rave reviews. The actress Zoé Saldaña appears in the video. Take a look and see why Juan Luis Guerra is one of the most beloved Dominican artists of all time. Juan Luis Guerra music at iTunes. Including his newest "En El Cielo No Hay Hospital". You can watch "En El Cielo No Hay Hospital" on The Colonial Zone News Blog.